If we start calculating the pallet wooden work that we have done so far on this platform, this has become pretty dense collection like we have gone all the miles in making different pallet wood creations. If we start making a diary of the all of the work done here, I just doubt how many lengths of pages would be needed to record the entire work. We also worked actively but a lot of work was done by our fellow crafters too. 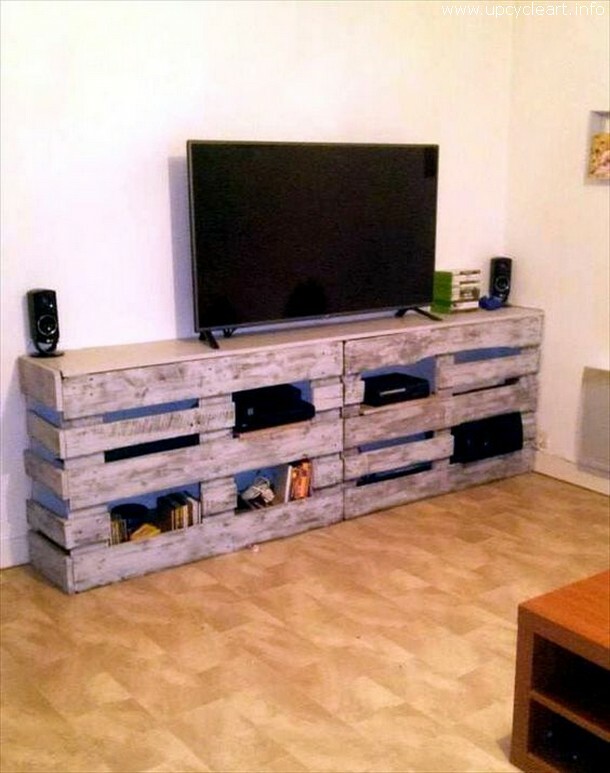 What does it take to recreate ideas for wood pallets? Well, this certainly needs a comprehensive planning and technique that would be discussed here. I just doubt that ever in your life you would have seen such a tower shaped chicken coop. 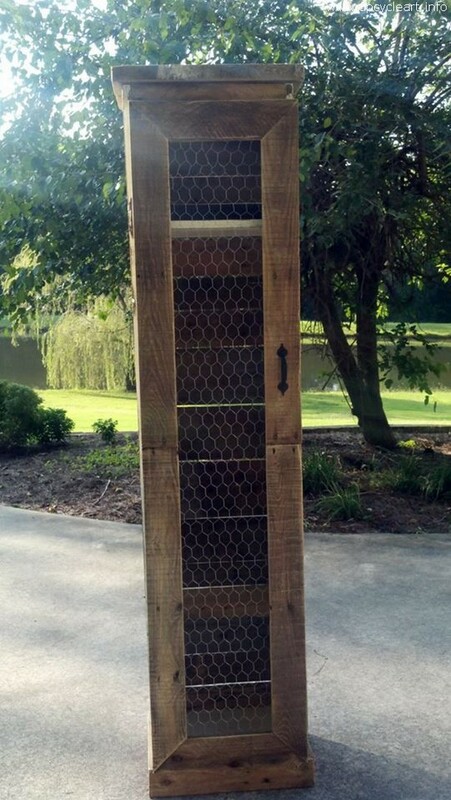 isn’t this pretty stylish, infact a bit ultra stylish for mere chickens to live? But don’t worry we made it with the wood pallet so that is not going to bother you financially atleast. 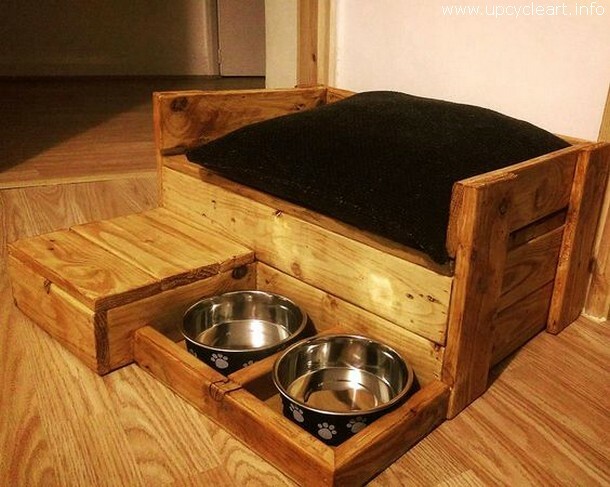 This entire set up is made especially for your pet dog, we thought dog must not wonder here and there for food and later on for sleeping, so we combined all of his needed stuff at single place. 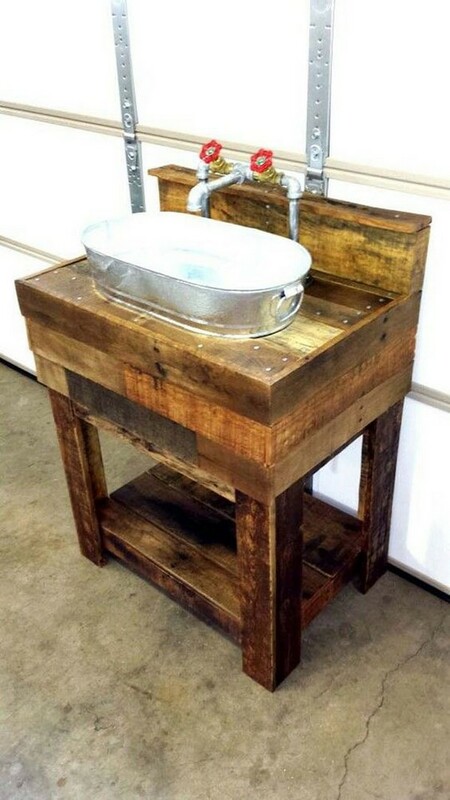 Now this is sort of conventional wooden pallet making that is done in a pretty conventional manner. Same hut shaped top is there, a little compound on the back obviously for the dog to take rest, and above all the best thing about this I believe is the dark shaded stain that we have arranged especially. Do you remember the earlier wooden pallet TV consoles and tables in some of the earlier projects? Well, they were mostly very stylish, shaped very reluctantly and they were sanded and stained with extreme care, but this one is probably exempted from the staining and the sanding. 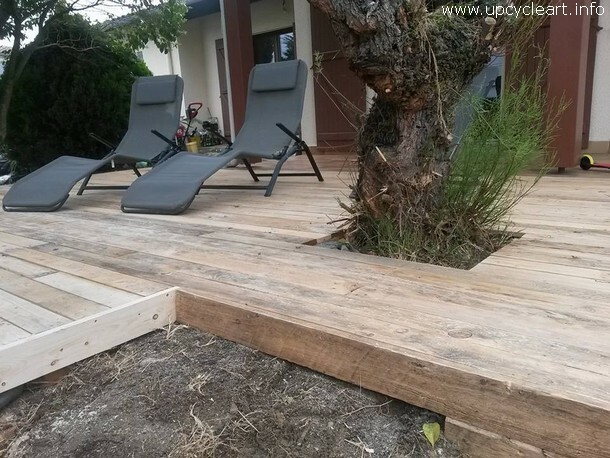 This whole long deck was made in the yard. 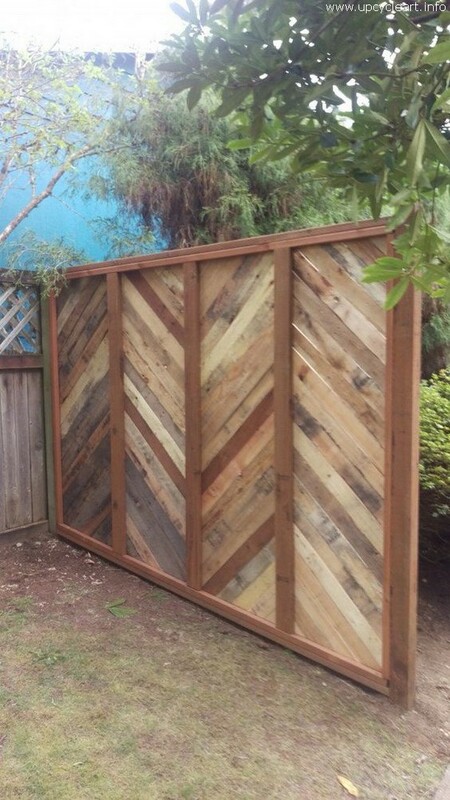 All the freshest pallets were used here in this garden décor project. This is probably made in a grand villa made in some country side site. 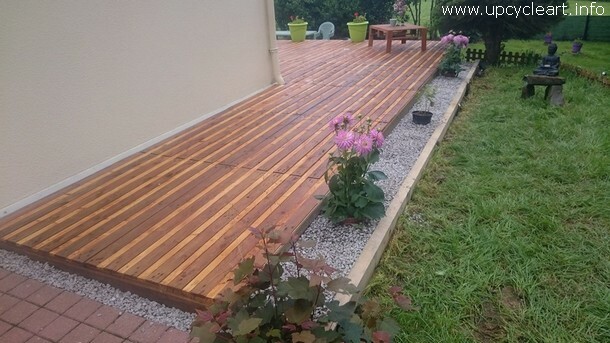 And we just cannot resist the beauty of this whole yard wooden pallet deck. Apparently this seems like a market oriented garden décor item that was purchased against hundreds of bucks, but infact this whole project was made using the left over shipping pallet after we have had done with the basic project of making the room bed. Rest of the timber was used here in making this. 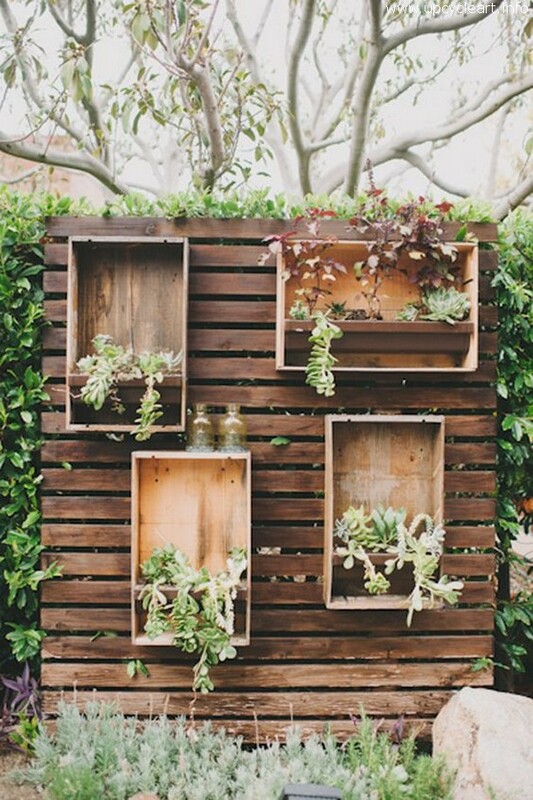 How about this wooden pallet garden fence, isn’t it a bit strange? Well, I think we are not used to seeing such long and designed wooden fences for the gardens and patios. So this one being a contradiction to the usual practice, this has made a great addition in the garden and garden décor ideas as well. This is called the pallet wood extravaganza that I have discussed countless times like we can see the wood all around the site. Just imagine if you had to buy the entire wood supplies from the market, then what exactly would have happened? 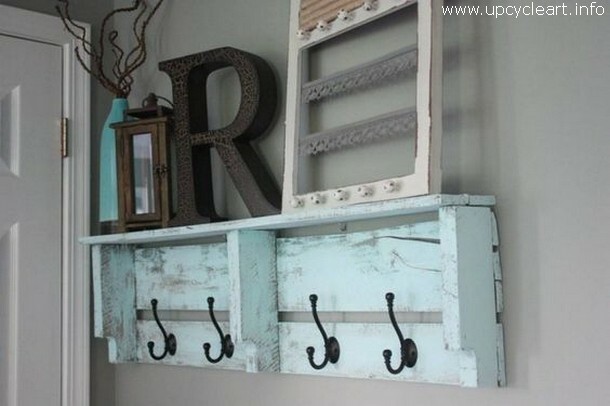 This is a simple pallet wood repurposed wall rack that is made in the simplest manner. 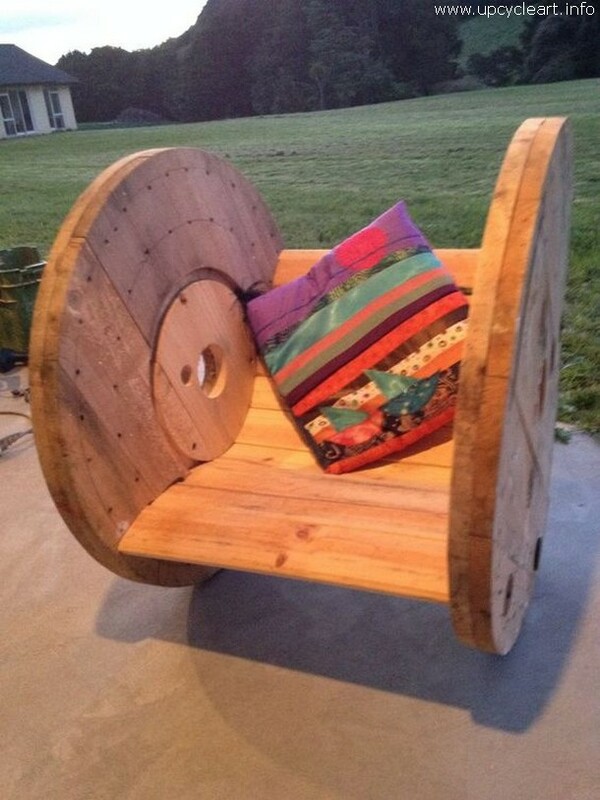 Seems like just a bunch of pallet wood planks were just combined together. And lastly we installed a couple of metallic hooks on the front and we were all done with it. Here again we come across a splendid recreation of the repurposed shipping pallets. This time we have used them in such a manner that they are making a dual effect, it would be used as a common wall rack and would also be considered a great work of art in the room interior. 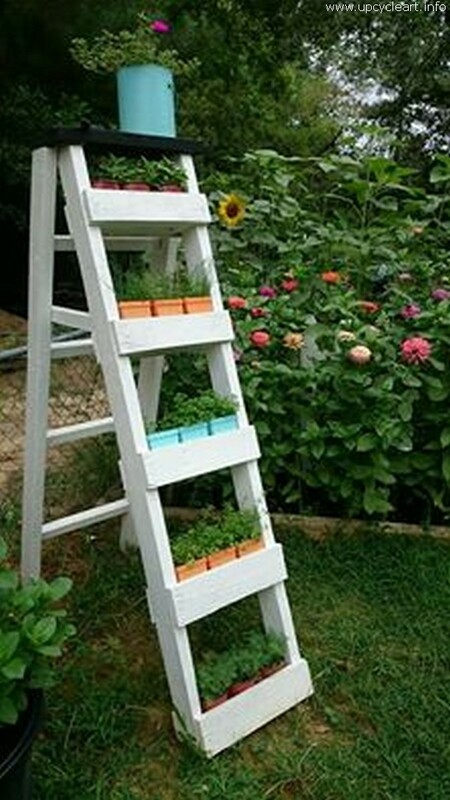 Now come towards some more constructive and helping wooden article that is needed throughout the day long no matter you are working outdoors in the garden, or you have to grab the large cloth bags in the upper portion of the cabinet, this wooden ladder would be a great helping hand. 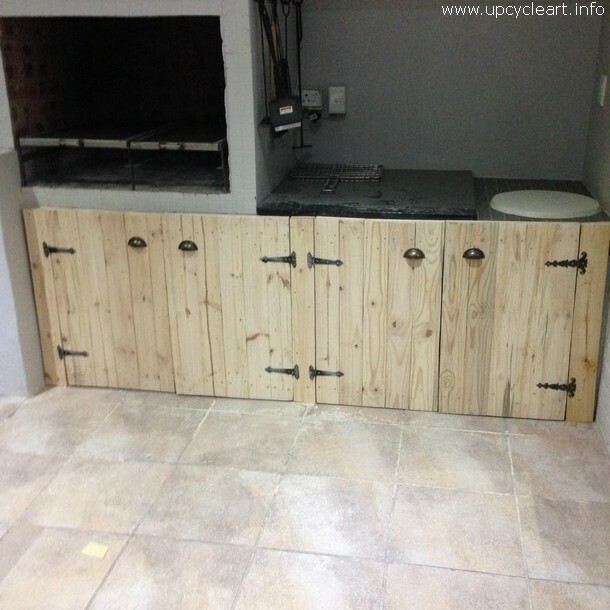 This is a newly constructed kitchen where we have recycled a pallet wooden kitchen cabinet door. This is a long wide and spacious kitchen cabinet so from now to onwards you just don’t need to worry about the storage space inside the kitchen anymore. This vintage wall love art is a sort of representation of your higher and accomplished taste of the art and aesthetics. This shows that you are so self sufficient in the matter of wood works that you won’t be exploited anymore by the professionals and can make such artistic creations at your own. 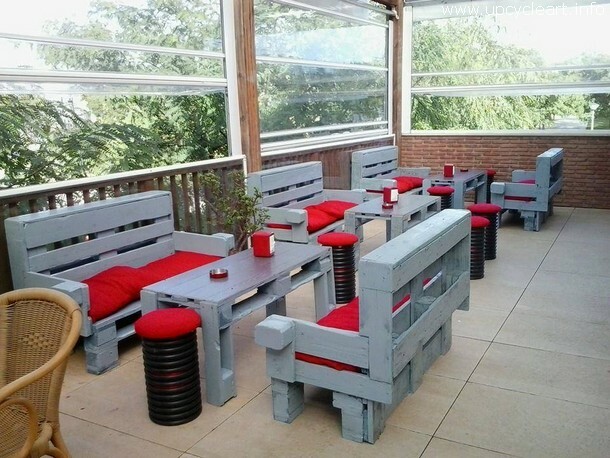 And this one seems to be the balcony of a well managed and furnished café or restaurant where we have seen such a beautiful representation of the shipping pallet recycled furniture items all around. Each wooden couch along with the slim table is made using the wood pallets. 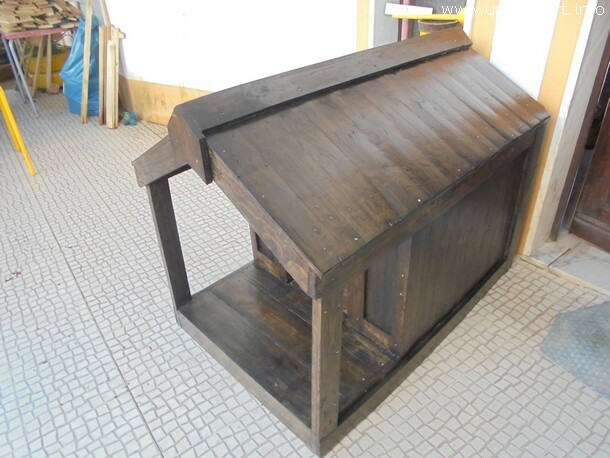 How do you see this cute dog house? Well, being specific this dog house was made with a recycled wooden barrel, nowhere we can see the contribution of the shipping pallets. 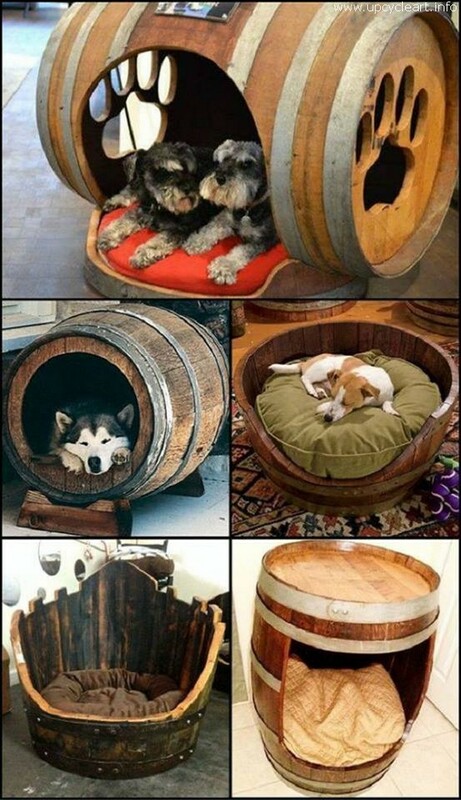 We see dog’s paw on both sides, and the door is cut out right from the middle of the wooden barrel. 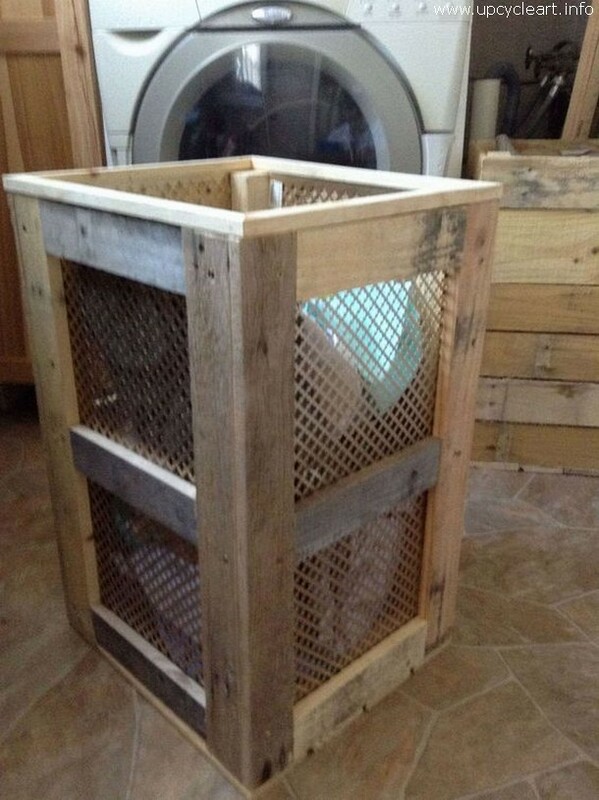 In a well organized and maintained house even the laundry is also managed very systematically, we just can’t afford to throw away the dirty clothes here and there so for this it would be better to get this pallet wooden upcycled hamper for your house. 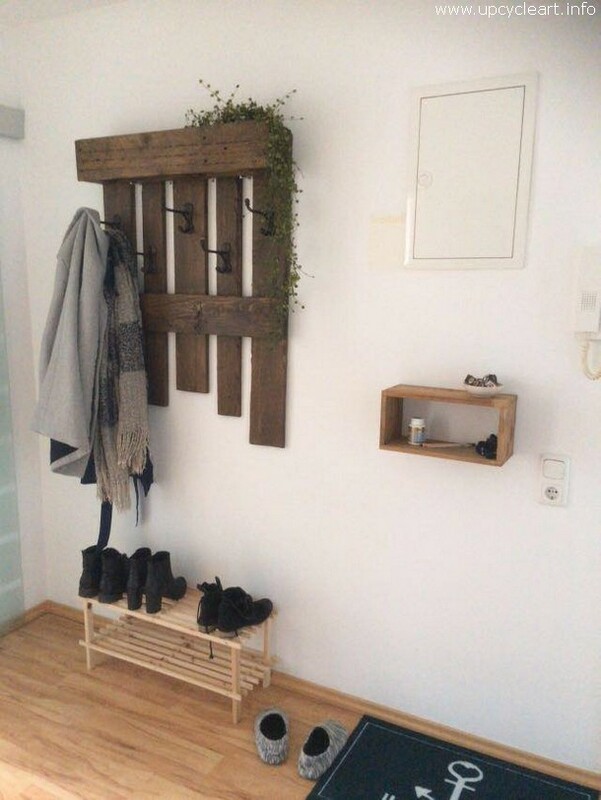 Looking at this wooden pallet shoe rack, one would realize that in how many ways the pallet wood can help us. 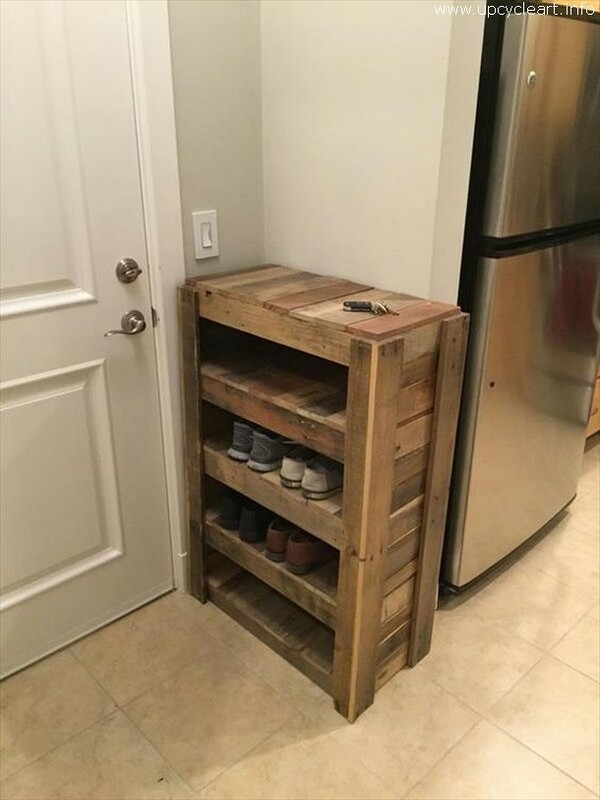 Like the wood pallet is used even to take care of our shoes that we can’t just carry inside the room due to some certain reasons. There just won’t be a messy look anymore inside the house. And finally this recreation of the shipping pallets is one of the most practical wooden furniture items that can be done using the wood pallets. All the material employed here is recycled like the iron pipe lengths are the leftovers, and the rest of the body was made with the same timber we call wood pallet.